Ilhan Omar and Rashida Tlaib made their debut in the House of Representatives in January openly declaring their support for the Palestinian-led Boycott, Divestment, Sanctions movement, or BDS. 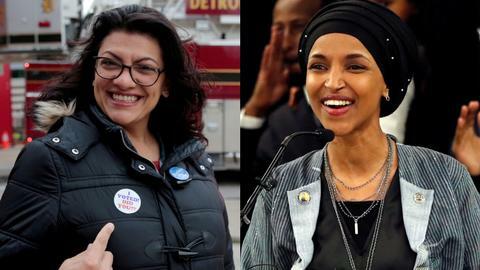 The support for a boycott of Israel by the first two Muslim women in the US Congress has opened a breach in the Democratic Party and threatens to create a fissure in the ironclad US-Israeli alliance. The movement launched more than a decade ago and modelled on the 1960s movement to pressure South Africa over apartheid, calls for people and groups to severe economic, cultural and academic ties to Israel, and to support sanctions against the Jewish state. But for Israel partisans - including many Democrats and Republicans in Congress - BDS smacks of anti-Semitism and poses a threat to Israel. Tlaib, 42, has Palestinian roots and represents a district of suburban Detroit, Michigan that is home to thousands of Muslims. She argues that BDS can draw a focus on "issues like the racism and the international human rights violations by Israel right now." 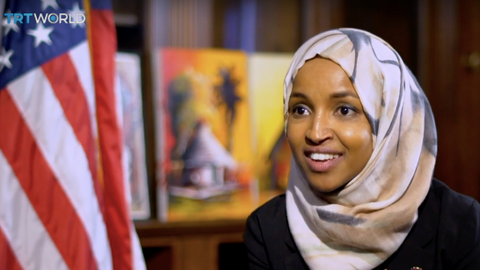 Omar, 37, is the daughter of Somali refugees who was elected to represent a Minneapolis, Minnesota district with a large Somali population. She accuses Israel of discrimination against Palestinians akin to apartheid but denies that she is anti-Semitic. 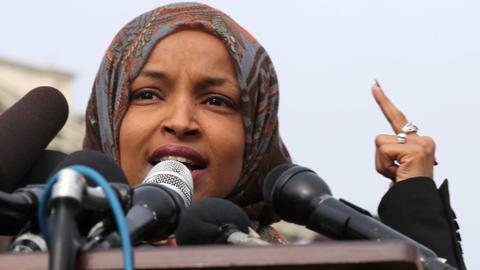 Her remarks in January to Yahoo News, however, sparked anger among the large pro-Israel contingent in Congress, the powerful, largely Democratic US Jewish community, and Israel itself, where BDS is seen as a national threat. "When I see Israeli institute laws that recognise it as a Jewish state and does not recognise the other religions that are living in it, and we still hold it as a democracy in the Middle East, I almost chuckle," she told Yahoo News. "Because I know that if we see that in another society we would criticise it - we do that to Iran, any other place that sort of upholds its religion." Omar and Tlaib sparked the BDS controversy during a period when Donald Trump's administration has strengthened relations with Israel and slashed aid to the Palestinians. But Republicans saw their support for BDS as both a threat to Jews and an exploitable rift among Democrats. "Democrats have made it clear that hateful, bigoted rhetoric toward Israel is not confined to a few freshman members. This is the mainstream position of today's Democratic Party and their leadership is enabling it," Republicans said in a statement on January 29. Republican Congressman Lee Zeldin urged his colleagues "to reject the anti-Israel and anti-Semitic hatred that we are starting to see infiltrating American politics and even the halls of Congress." The worry about the still small but growing support for BDS in the United States predates Tlaib's and Omar's political rise. A number of states have passed or proposed constitutionally questionable legislation and policies that would penalise supporters of the boycott movement. But the arrival of Tlaib and Omar in Congress was greeted with the first proposed federal law to fight to that end, in the Senate. Senator Marco Rubio argues that BDS aims to eliminate the state of Israel, and said his legislation would protect states' rights to exclude from public contracts any supporters of BDS. Republicans, the majority in the Senate, along with more than half of the Democrats approved the legislation. But a significant number of Democrats opposed it, because, they said, it violates constitutional guarantees of freedom of expression. That has left Democrats vulnerable to charges of anti-Semitism. To fight that, in January prominent party members formed the Democratic Majority for Israel, touting themselves as "The Voice of Pro-Israel Democrats," which for some came across as a rebuke of Omar and Tlaib. After Omar joined the influential House Foreign Affairs Committee, according to The New York Times, Jewish committee Chairman Eliot Engel privately made it clear that he would not ignore any "particularly hurtful" remarks she might make. "You hope that when people are elected to Congress, they continue to grow," he reportedly told her. "There is obviously a serious fight going on within the Democratic Party with respect to how to deal with BDS and some within their party who advocate for it," said Alvin Rosenfeld, who directs the Institute for the Study of Contemporary Antisemitism at Indiana University. 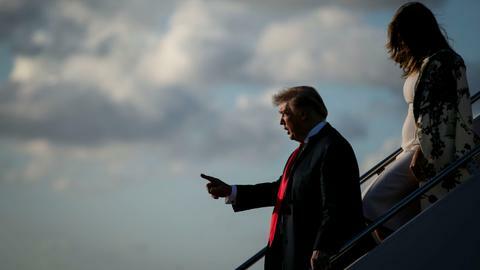 "Should the party swing to the far left and appear to be way out of line with America's traditional ties to one of its strongest allies, Israel, the party will surely suffer at the polls," he told AFP. Amy Elman, a political science professor at Kalamazoo College, said anti-Semitism should not be used as a "political football by any party." "Democrats should care less where the charges of anti-Semitism come from. What matters is if the accusations are valid," she said.